Oral health is an essential component of a healthy life. Studying the Bachelor of Oral Health is the first step towards an exciting and fulfilling career working with people of all ages to improve their oral health and to promote an awareness of how oral and general health are closely connected. 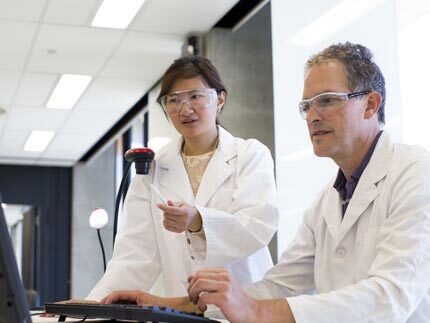 The Bachelor of Oral Health is a comprehensive and evidence-based degree, and is the only professional oral health degree available in South Australia. It provides students with in-depth knowledge and skills relating to the prevention and management of oral diseases and health promotion; and prepares them to practice oral health therapy at the highest level. The relatively small number of students accepted into the degree each year means that students work and study as part of a close-knit and supportive oral health learning community. The degree offers a combination of innovative teaching methods including online interactive classes, case-based scenarios, group work, and simulation using the advanced facilities in the Dental Simulation Clinic. Students are given early exposure to clinical practice and undertake extended placements in a variety of dental settings in both city and rural locations. A community outreach dental program offers students the chance to develop their skills, while helping to improve the oral health of disadvantaged people across South Australia. Through their advocacy and clinical practice, University of Adelaide oral health graduates strive to empower individuals and communities to maintain optimal oral health throughout their lives. Graduates have highly sought-after skills and have a wide variety of career options available to them in both public and private sectors. Intake No new intake for 2019. To be considered as a secondary school leaver, applicants must not have completed more than 2 years full-time (or part-time equivalent) university study (48 units) at an Australian or overseas institution. For full details of Tertiary Entrance Rules under the SACE/NTCE refer to the Tertiary Entrance Booklet 2018, 2019, 2020 published by SATAC (available at their website www.satac.edu.au from July 2018 onwards). 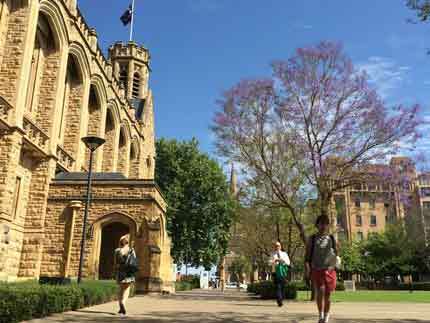 Academic Threshold (ATAR): To meet the minimum academic threshold for entry into the Bachelor of Oral Health (BOH) program at the University of Adelaide, year 12 applicants (school leaver applicants) must achieve an Selection Rank (ATAR plus any applicable adjustment factors ) of 70 or above, an International Baccalaureate score of 25 or above or the interstate/ overseas equivalent. Indigenous applicants may be eligible for entry through the Aboriginal and Torres Strait Islander Access Scheme. Refer to Wilto Yerlo for further information. SACE: One 20-credit SACE Stage 2 Tertiary Admission Subject from the Mathematics or Science Learning Areas; OR IB equivalent subjects; OR Equivalent University courses (i.e. 1st year Human Biology as part of the Bachelor of Health and Medical Sciences program). A necessary precursor for success in the BOH program is a high proficiency in the written and oral use of the English language. The Adelaide Dental School has decided to have a restricted intake of students (both domestic and international) in the first year of the Bachelor of Oral Health degree for 2019. This means we will not be accepting any new students into the Bachelor of Oral Health program for first year in 2019. This decision has been taken to enable a curriculum review and renewal of the program, which will greatly benefit future and current students. To meet the minimum academic threshold as a Higher Education applicant, you must have completed at least half a year full time equivalent higher education study, achieving at least a pass average (a Grade Point Average (GPA) of 4.0 or more). Higher Education applicants must also meet the subject prerequisite requirements listed above. Please click here for information about calculating your GPA. Indigenous applicants may be eligible for entry through the Aboriginal and Torres Strait Islander Access Scheme. Refer to Wirltu Yarlu for further information. Please refer to the Additional Entry Requirements section for details of other entry requirements to the BOH program. To meet the minimum academic threshold as a VET/TAFE applicant, you must have completed an AQF Diploma or above from a Registered Training Organisation. VET/TAFE applicants must also meet the prerequisite subject requirements (refer above). Indigenous applicants may be eligible for entry through the Aboriginal and Torres Strait Islander Access Scheme. Refer to Wirltu Yarlu for further information. Please refer to the Additional Entry Requirements section for details of other entry requirements to the BOH program. For 2019 entry, you must be 18 years or over before 1 February 2019. If you have studied at higher education level in the last two years (for 2019 entry this means you were enrolled in either 2018 or 2017), you must not have accumulated more than a TOTAL of 2 years full-time (or part-time equivalent) higher education study (ie. including any study prior to 2017). If you meet this criteria, you will be ranked according to your result in the Special Tertiary Admissions Test (STAT). Your STAT result is not weighted between verbal and quantitative components. Indigenous applicants may be eligible for entry through the Aboriginal and Torres Strait Islander Access Scheme. See Wirltu Yarlu for further information. Please refer to the Additional Entry Requirements section for details of other entry requirements to the BOH program. 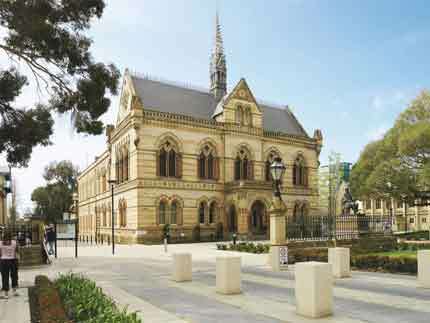 The Bachelor of Oral Health 2020 Admissions Guide details important information regarding the additional entry requirements for applications to the degree at the University of Adelaide. All applicants are advised to read the 2020 Admissions Guide before applying for the Bachelor of Oral Health (BOH) program for Semester 1 2020, failure to read this document will not be grounds for special consideration. 3. Applicants must submit their application and payments prior to the 30 June 2019. Applicants who have not yet completed their current qualification will still be required to apply by this date. Closing dates are strictly adhered to and late submissions will not be accepted. 4. In addition to this application, please note than any student studying for an Australian Year 12 qualifications or for the IB in Australia must also apply directly to SATAC before SATAC's September closing date. 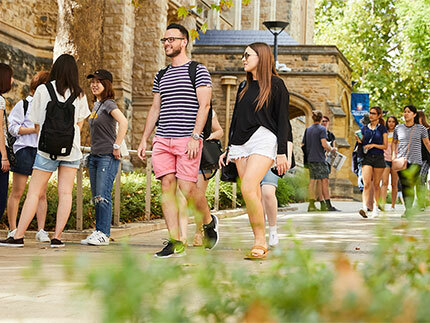 Important information for International students who obtain Australian Permanent Residency (or some other immigration status that entitles you to the educational benefits of Permanent Residency) is also contained in the Bachelor of Oral Health 2020 Admissions Guide. It is envisaged that most graduates of the degree will work as an oral health therapist, providing prevention, basic dentistry and periodontal maintenance. Graduates form a vital part of the dental team and provide preventive and general dental care for the population in both public and private sectors. From first year, students undertake compulsory clinical placements in a range of metropolitan and rural settings. These compulsory placements can extend beyond the academic year and can include after-hours and weekend work. The Bachelor of Oral Health is accredited by the Dental Board of Australia. Graduates are also eligible for membership of the Australian Dental and Oral Health Therapists Association and the Dental Hygienists Association of Australia. The curriculum of the Bachelor of Oral Health has an overall educational approach centred on case-based learning, small group learning and self-directed learning. The emphasis on learning relevant scientific information throughout the degree occurs concurrently with the development of clinical skills. Case-based scenarios aim to provide a realistic context for student learning and have been designed to integrate with material presented in the four focus areas in a coordinated approach. Students are introduced to dental scenarios from day one and have hands-on experience of many aspects of clinical dentistry during the first semester of first year. This learning approach develops problem solving strategies, a disciplinary knowledge base and professional skills. Students play an active role as a problem solver confronted with an issue/patient scenario, which mirrors a real-world situation. In many examples, the students study real-life cases. From first year, students will undertake compulsory clinical placements in a range of settings, including community dental clinics located in metropolitan Adelaide and rural South Australia. An Oral Health research project is undertaken by students in third year and provides the opportunity to focus on a major area of interest that will enhance a student’s role as an oral health professional. Below is an indicative study plan for the Bachelor of Oral Health. Dental and Health Science 1 aims to introduce students to the oral cavity and to the areas that support the practice of an oral health therapist. This includes management of the oral environment, periodontology, cariology, minimal intervention and prevention. Students are introduced to the behavioural sciences and psychology relevant to the practice of oral health therapy. The Dental and Health Science 2 stream will build on the knowledge developed in Dental and Health Science 1 and introduce the role of the oral health therapist in specialised dental practice. It covers community dental health issues and develops the role of the operative and preventive oral health therapist. Dental and Health Science 3 aims to further develop and consolidate the paedodontic clinical role and the more specialised aspects of the oral health therapist including, areas such as early childhood, special needs, geriatric dentistry, and dental public health. This stream aims to equip students with the biological grounding for the practice of oral health. It is an introduction to the anatomy and physiology of the human body and in particular to the oro-facial regions. This leads to the study of the Human Biology 2 stream, which prepares students to understand the medical aspects of clinical oral health practice including pharmacology, the use of local anaesthetics and the management of dental and medical emergencies in dental practice. Clinical Practice provides students with the opportunity to integrate theoretical knowledge with practical application in a clinical setting. This stream will build on students’ skills as clinicians in oral health therapy practice. Each successive year assists in the consolidation of skills in preventive (minimal intervention), periodontal and restorative clinical practice. This stream will assist students in developing a broad range of generic skills to support their role as oral health care workers. Communication skills will be developed to assist students in their role as oral health educators. Team building communication introduces the concept of teamwork, which underpins the professional role of member of the dental team. It will enable students to communicate effectively and facilitate the establishment of professional working relationships with patients and other members of the dental team. Students are also introduced to evidence-based dentistry to enable them to apply evidence-based decision making to the clinical issues they may be faced with. This stream is third year only and provides the opportunity to focus on a major area of interest that will enhance a student’s role as an oral health professional. Study will be in the form of a research-based project that will allow exploration of a focus area in greater depth. Assessment will be based on a combination of written assessments, exams, clinical, laboratory and performance assessments by tutor and self-reflection. Tests of understanding and other assignments are also assessable. Dental Student Jessica speaks about her degree, why she chose Adelaide and her experience studying a Bachelor of Dental Surgery at the University of Adelaide.